This events guide features all the information we have on events in Los Angeles and the Greater LA Area. The guide covers theatres featured on this website so you may wish to check local listings for any additional theatre tours available in Los Angeles and the Greater LA Area. Enjoy your event! See an Oscar® statuette, visit our Dolby Lounge and other exclusive celebrity hot spots, plus view images from previous Academy Awards® ceremonies. Tour is a thirty minute walking tour that includes several flights of stairs. Disabled guests can be easily accommodated, but please advise the theatre at the time of ticket purchase. 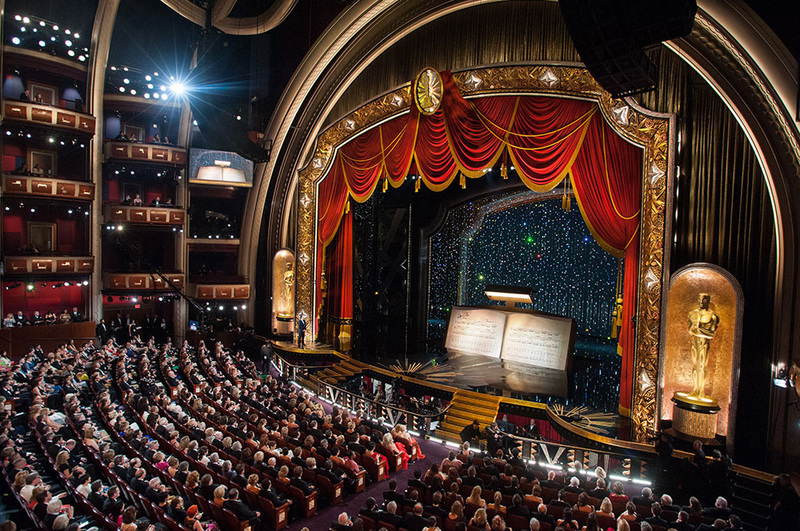 The Dolby Theatre is an operating facility with a busy performance schedule. Access to certain areas of the theatre is subject to performance schedules. For more information, please contact Dolby Theatre customer service at (323) 308-6300. Discover the history and magic of Disney’s premiere movie theatre with a behind-the-scenes tour! 45-minute docent guided tour, $12 per person inlcudes: El Capitan Theatre and Hollywood history; behind-the-scenes “fun facts” and special event highlights; Wall of Fame and lobbies; Lower Lounge and exclusive displays; Theatre Auditorium; Backstage areas, including Sherman Brothers Star Dressing Room; photo opportunity with the mighty Wurlitzer Organ. Tour tickets are available at the theatre, and walk-ups are welcome. Advance reservations by calling 1-800-347-6396 but are not required. Note that each tour is unique. Tour locations may vary based on the theatre production schedule and showtimes. Tours are subject to availability and may change without prior notice. Docent-lead tours take visitors through much of the interior space and throughout the gardens while presenting the highlights of the architecturally stunning building. Individual guests or tour groups up to 14 people: complimentary. Offered select days at 12pm and 1:15pm; lasting approximately 60 minutes. Begins in the Grand Lobby of the Walt Disney Concert Hall. Note: tours of the Walt Disney Concert Hall do not include the auditorium due to a near constant rehearsal, performance and special event schedule. 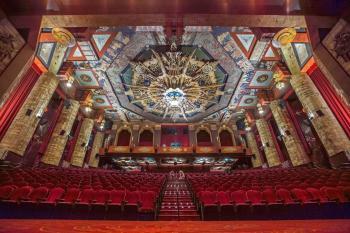 The TCL Chinese Theatres Tour is the only tour in Hollywood where you learn the history of our cinema palace from inside and out. The Tour features stories and fun facts from the theatres beginnings to today, ranging from Hollywood premieres, to imprint ceremonies of your favorite celebrities in the Forecourt of the Stars. So step off the red carpet and walk through the golden doors of this Movie Palace of the Stars on our exclusive 30 minute Walking Tour. A visit to Hollywood is not complete without this stroll through Hollywood movie history. Tours are offered 7 days a week excluding special events. Please call for up-to-date availability (323) 463-9576 or email tours@chinesetheatres.com. Group rates are available. Enjoy a day in historic Hollywood at the home of Hollywood’s first movie premiere! 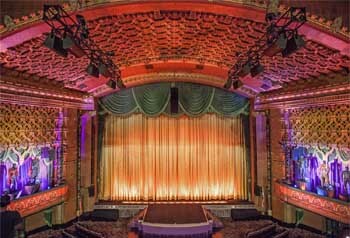 Take a behind-the-scenes, docent-led tour of the legendary 1922 Egyptian Theatre built by legendary impresario Sid Grauman. See what it would have been like to be in a Grauman stage show with a visit to the dressing rooms and singers’ boxes. Discover the painstaking restoration work and the marriage of modern technology with a landmark of Hollywood history. Tours will start promptly at 10:30am at the Box Office. Tours run approximately 60 minutes. Wear your walking shoes! You will see the old dressing rooms, the singer’s boxes and our projection booth. Reservations are not required, we have room for everyone. Tours will be held rain or shine. The Gathering for the Grand Annual Gala is TRANSFORMING into a live concert benefit series featuring professional, in-demand tribute acts and popular local openers. This three part series is happening at San Pedro's beloved art-deco movie palace, the Warner Grand Theatre! A brilliant tribute to one of most electrifying 20th-21st century performers. From rock and roll space alien Ziggy Stardust to pop/rock legend, Bowie look-alike/sound-alike, DAVID BRIGHTON and his all star SPACE ODDITY band showcase Bowie's unique musical journey! VIP ticket purchases include one premium orchestra seat, invitation to VIP pre-Concert Reception from 6-7:30pm with appetizers and one complimentary drink, access to private no host bar before concert and during intermission. Opener: The Glass Family. Tickets $27.50 to $105. Broadway West presents “PATTI on Broadway at the Palace”, a Broadway musical spectacular that takes us on a musical journey about iconic women of song brought to life by the woman who helped revitalize DTLA! The show will last 90 minutes and will have no intermission. Broadway West is a nonprofit dedicated to preserving and activating the historic theaters of Downtown Los Angeles and beyond. Find out more at www.BwayWest.com. This is an Actors Equity Production. One night only. Early bird tickets on sale 23rd March. The opening night of the 2019 Los Angeles Times FOOD BOWL begins with Mesamérica L.A. at the Million Dollar Theater in downtown Los Angeles. Mesamérica L.A. is the first incarnation of chef Enrique Olvera’s celebrated symposium to be held outside of Mexico. Olvera and L.A. Times Food Editor Peter Meehan have put together a program that explores the culinary and cultural interconnectedness of Mexico City and Los Angeles to celebrate the sister cities’ 50-year anniversary. Art, architecture, identity and the meaning of tacos will be explored through talks, video and song. The Mesamérica event will be followed by DFiesta next door at Grand Central Market and La Cita Bar. Most of the market will feature for-purchase chef collaborations, roving Mariachi bands and other Mexico City-inspired merriment. Tickets for the event are $35 for Mesamérica only or $85 for Mesamérica and the DFiesta. Please note this event is 21+ only. Join us for a night of art, food, and music! 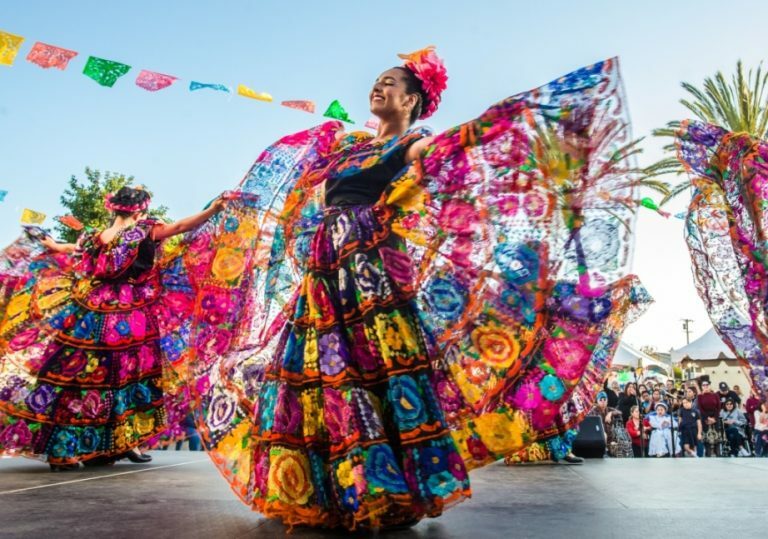 Come to the Mission District for the City of San Gabriel’s 2nd Annual Cinco de Mayo Mercado on Friday evening, May 3rd from 6pm-9pm. The Great Rock and Roll Flea Market takes place at 11am on the first Sunday of every month at the Regent Theater in Downtown LA. This is a free, non-ticketed, event. Save the Date!!! Join us for a very fun evening highlighting hidden talent from our local Fullerton Community. More information on tickets, sponsorship opportunities and event to follow! 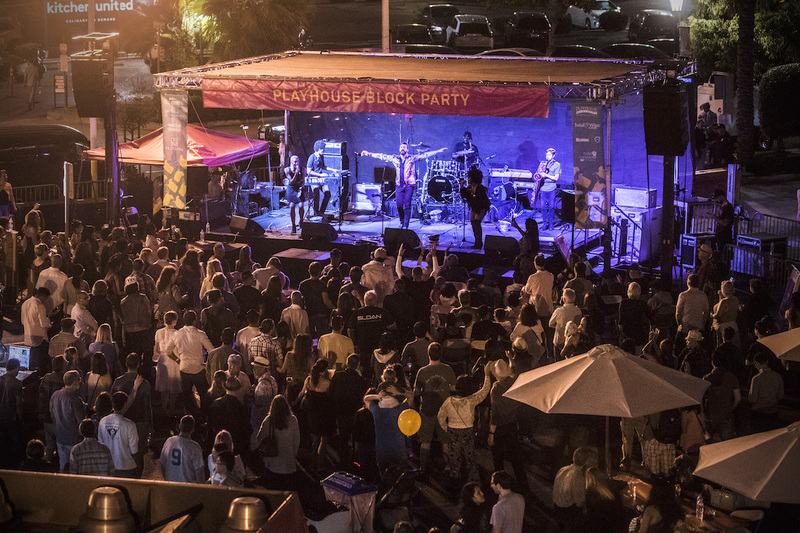 This First Annual Event hosted by the Rotary Club of Fullerton will highlight local Fullerton Talent selected by 8 Local Fullerton Non-Profit Charities who will compete for the top talent prize. Proceeds from this event will go towards the winning Non-Profit and also Helping our Youth Succeed via Youth programs supported by our Fullerton Rotary Foundation in Fullerton. The Fullerton Rotary Foundation supports over 30 Youth in Need and other Youth Programs in Fullerton on an annual basis. Premium Tickets: $125. Front four rows! Includes pre-concert VIP Purple Carpet Reception 2:30pm at the Warner Grand Theatre! Lots of celebrity sightings will kick off the evening, creating a fun and memorable inaugural San Pedro Music Festival! Center Tickets: $75. General Section 1: $55. General Section 2: $35. Open House at the World Famous Shrine Auditorium & Expo Hall, with food, beverages, and entertainment! We invite you, your family, and friends to explore the home of the Al Malaikah Nobility. Walk in the footsteps of famous nobles such as John Wayne, Clark Gable, Harold Lloyd, Roy Rogers, and more! Doors Open and Tours 6pm. Auditorium program 7:30pm. Conclusion 9:30pm. Attire: Business Casual. For further information contact Al Malaikah Shrine Office at (213) 748-0173. 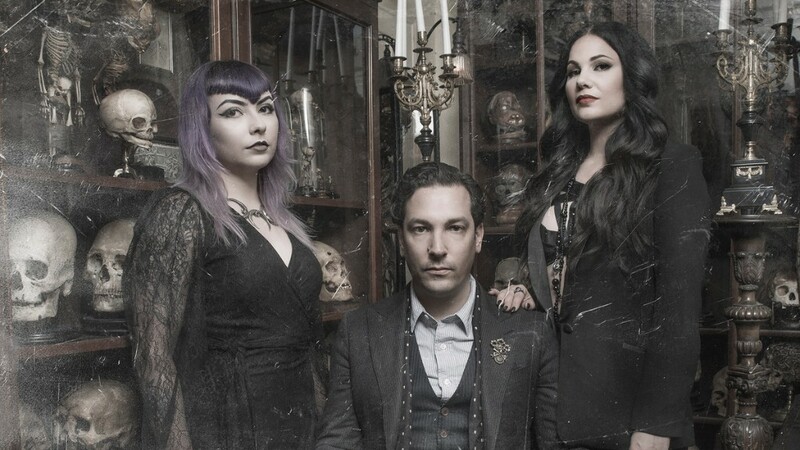 The legendary Oddities Flea Market curated by Ryan Matthew Cohn and Regina Cohn is returning to Los Angeles, this time for an entire weekend! VIP Access, pre-sold through Atlas Obscura, is $40 and grants you first entry to the market at 10am. General Admission, from 12pm to 6pm, is $20 (cash only at door) with tickets available online closer to the date of the event. There will be an ATM on site, although most vendors do accept cards as well as cash. All ages are welcome! Children under 10 are free. Multiple cash bars for those 21 and up, must have ID. Part of our GODZILLA AND FRIENDS series. SPECIAL MEMORIAL DAY MATINEE: Monday, May 27, 2019 @ 10:30am: JURASSIC PARK (1993, Universal, dir by Steven Spielberg, 35mm). While Godzilla has had more incarnations than a Hindu God including the U.S.’s most recent reboot which is about to give us its second chapter, Steven Spielberg may have provided us the greatest Godzilla movie outside of Japan when he made JURASSIC PARK in 1993. The Los Angeles Conservancy presents 2019’s “Last Remaining Seats” program. “It Happened One Night” (1934) is a romantic comedy with elements of screwball comedy directed and co-produced by Frank Capra, in collaboration with Harry Cohn. Pampered socialite (Claudette Colbert) tries to get out from under her father’s thumb and falls in love with a roguish reporter (Clark Gable). LA Conservancy member presale (tickets $18) begins Wednesday, March 27 at 10am. General public sales (tickets $22) begin on Wednesday, April 10 at 10am. “The Maltese Falcon” (1941) is a film noir with screenplay by and directed by John Huston in his directorial debut, and based on Dashiell Hammett’s 1930 novel of the same name. The film stars Humphrey Bogart as private investigator Sam Spade and Mary Astor as his femme fatale client. The story follows a San Francisco private detective and his dealings with three unscrupulous adventurers, all of whom are competing to obtain a jewel-encrusted falcon statuette. “Los tallos amargos” (The Bitter Stems) is a 1956 Argentine film noir directed by Fernando Ayala. The film stars Carlos Cores as a journalist with an inferiority complex who partners with a Hungarian immigrant, played by Vassili Lambrinos, in a fraudulent get-rich-quick scheme that leads to crime and tragedy. This is a free, non-ticketed, family event. “Spartacus” (1960) is an American epic historical drama film directed by Stanley Kubrick, inspired by the life story of Spartacus, the leader of a slave revolt in antiquity, and the events of the Third Servile War. It stars Kirk Douglas in the title role, Laurence Olivier as Roman general and politician Marcus Licinius Crassus, and Peter Ustinov as slave trader Lentulus Batiatus. “Rebecca” (1940) is a romantic psychological thriller film directed by Alfred Hitchcock and starring Laurence Olivier and Joan Fontaine, telling the story of a young woman who marries a fascinating widower only to find out that she must live in the shadow of his former wife, Rebecca, who died mysteriously several years earlier. Two classic Laurel & Hardy films will be shown: “The Battle of the Century” (1927), a silent movie with live accompaniment on the Orpheum’s Mighty Wurlitzer organ; and “Sons of the Desert” (1933). Directed by George Roy Hill and written by William Goldman, “Butch Cassidy and the Sundance Kid” (1969) tells the story of Wild West outlaws Robert LeRoy Parker, known as Butch Cassidy (Paul Newman), and his partner Harry Longabaugh, the “Sundance Kid” (Robert Redford), who are on the run from a crack US posse after a string of train robberies. The pair and Sundance’s lover, Etta Place (Katharine Ross), flee to Bolivia in search of a more successful criminal career. Written by Paddy Chayefsky and directed by Sidney Lumet, “Network” (1976) tells the story of a fictional television network, UBS, and its struggle with poor ratings. The film stars Faye Dunaway, William Holden, Peter Finch, and Robert Duvall and features Wesley Addy, Ned Beatty, and Beatrice Straight.